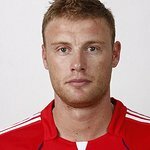 Cricket legend Freddie Flintoff completed an epic BT Sport Relief Challenge with a bang this week, achieving 14 Guinness World Records in just 12 hours. The list of records that Freddie achieved on Monday were in the following order: Fastest time to drink a hot chocolate (5.45 seconds); Most Facebook likes in one hour (52,719); Fastest 100 metres on a pedalo (1 minute 58.62 seconds) – with fellow cricketer Steve Harmison; Most kisses in 30 seconds (40) – broken live on air in the Loose Women studio; Most peas eaten with a cocktail stick in 30 seconds (38); Most people popping party poppers (420) – broken in BT’s offices in Newgate Street; Fastest time to high-five 20 people blindfolded (in 6.53 seconds) – also broken in BT’s offices in Newgate Street; Most cricket deliveries faced in one minute (19) – helped by fellow sport star Gary Lineker and McFly's very own Harry Judd; Fastest three-point turn in a car (14.01 seconds) – after failing his first attempt by just 2 seconds this morning; Fastest zorb over 100 metres (26.59 seconds); Most hot dogs made in 1 minute (9), live on QVC; Longest distance to throw a bullseye in darts (5.05 metres); Most lemons caught while blindfolded in one minute (20) – with Steve Harmison; Most party poppers popped in one minute (52). Freddie broke his twelfth world record by achieving Longest distance to throw a bullseye in darts – and hit his target of 12 world records in 12 hours at the same time. But Freddie continued on his challenge, and while he didn’t manage to achieve his final attempt at a world record on The One Show by duct taping Alex Jones to a wall, he did achieve two more world records for Most lemons caught while blindfolded in one minute and Most party poppers popped in one minute. Throughout his marathon 12 hour challenge, Freddie also dropped in on a number of other TV shows in a bid to showcase his talents live to the nation and encourage them to support his efforts. This included Freddie appearing on Loose Women and taking delight in claiming Denise Welch’s record for the Most kisses given in 30 seconds by hurriedly working his way down the lucky line up of 40 people. Freddie was helped out along the way by celebrity friends who dropped in to help him achieve his world records. Fellow cricketer Steve Harmison helped Freddie set the record for Fastest 100m on a pedalo and Most lemons caught in one minute while blindfolded, whilst sports broadcaster Gary Lineker and McFly’s Harry Judd helped Freddie achieve the Most cricket deliveries in one minute. All Freddie’s efforts were overseen by a hawk-eyed adjudicator from Guinness World Records to ensure he got instant confirmation every time he broke or set a record. BT announced that they are giving £200,000 to support Freddie’s challenge. This is part of the £1million BT has committed to raise in support The BT Sport Relief challenges – a series of celebrity challenges sponsored by BT for Sport Relief 2012. In September 2011, David Walliams kicked off the celebrity challenges with an epic splash when he completed The BT Sport Relief Challenge: Walliams vs The Thames. The comedian John Bishop took on the biggest physical test of his life, The BT Sport Relief Challenge: Bishop’s Week of Hell.